Домой English page Analytical Report: June 2011. Events in June 2011 our confirmed the earlier conclusions on the unbalanced decision making system in the higher echelons of power and partial paralysis of the state apparatus. At the same time, we must note the inactivity of most political actors from the old opposition. New protest initiatives, that are not related to the current opposition, have shown a significant and growing potential. Society expects a new, clear alternative to the existing regime, as “the old” opposition is quite discredited. Thus, the political crisis emerged as a national one: not only the power, but even its opponents from the existing opposition parties and movements are acting ineffectively. Theoretically, the low efficiency of the regime and the apparent incapacity of the opposition could destabilize the state and bring into the power the forces, that today are regarded as outsiders. In this situation the possibility of external interference is getting higher. The internal situation: the stability of government. The ongoing economic crisis has revealed not only the poor quality of management done by the authorities, but also the absence of an agreed position on the ways of overcoming the crisis. At the same time, in June, Belarusian authorities in the face of regular information attack from Russia showed complete inability to wage information warfare. Belarusian authorities are rapidly losing their own information field. All this is exacerbated by the growing protest, which has spread from the capital to other regions of the country. Throughout June, the Russian state TV channels (ORT, NTV, RTR) de facto have been giving almost daily critical reports about the situation in Belarus. It should be noted that the materials were objective. An exception is the movie called “Belarusian miracle” showed on NTV. The coverage of the situation in Belarus by main Russian media gave Belarusian authorities the possibility to speak about “the threat from the East” once again. Against the background of economic stagnation the expression of protest in the country has intensified (the silent action on Wednesdays). But it should be noted, that if the protests in the capital have more political nature, in the regions, especially in the west, they are mostly of socio-economic character. At the same time the density of the protests in the provinces (the ratio of the number of protesters to the number of inhabitants of human settlement) are significantly (sometimes 3-4 times) higher than in Minsk. Belarusian authorities consider social protests as a real threat to the stability of the state. The situation around the production association «Belaruskaliy» is indicative in this respect: the day after the release of information about the requirements of the factory workers to increase their wages, Alexander Lukashenka held a meeting on the prospects of rapid development of the company. In the future the authorities will try to resolve the social demands, trying not to lead to the situation of open confrontation on one hand and on the other hand the government will identify the most active participants and leaders of the protests and press them up to the prosecution. In this case, as the sources to meet the social and economic demands will exhaust, the regime will have no other way except the physical suppression of opponents. In the light of this, it is quite wrong to think that Alexander Lukashenka, forced to seek financial assistance from the IMF, will release the condemned on the case of 19 December 2010. Such action could be interpreted as a sign of weakness, but in this situation the authorities will try to demonstrate the power and the ability to control the situation in the country. The country’s leaders is likely to claim about “Russian threat”. Although West acknowledges Belarus to be located in the privileged interests of Russia, this does not mean that the Western countries like this situation. The weakening of Russia’s position in the former Soviet Union continues. And Russia also shows a small ability to influence the processes in its “zone of responsibility” in Eurasia. Transformations occurring in the Belarusian society, objectively favour turn of the country to the West. In fact, the only way to prevent it is changing the existing regime by a pro-Russian one. However, considering the unreality of military intervention and the need for a long preparatory process, we should recognize that the ambitions of Moscow have not so much time to be realized. In theory, the reforms under IMF supervision, combined with international aid will help to stabilize the situation, which will be basis for a new economic growth, though small and weak. Thus, Russia has not more than 2 or maximum 3 years to promote a pro-Russian leader to the power apparatus in Belarus. Nervous behavior of Belarusian authorities, their sometimes hysterical response to the information policy of the Russian state television channels is an indirect indication that they have reasons to believe into a threat of Russian interference in the internal political processes in our country. At the same time the regime is quite vulnerable. Instead of a clear anti-crisis program in the higher echelons of power the recrimination is observed. And it is done in public, which lowers the trust to the authorities’ ability to manage the country effectively, especially in terms of external pressure. Another negative thing for Belarusian governments is a very low level of their managerial staff. Personnel issue is the weakest point of Belarusian state apparatus. Despite the stereotype that “presidential instructions are followed without any questions”, imposed by Belarusian state-run media, in fact we can observe the following: according to the information by the Administration, only about one third of instructions are followed completely (appropriately, on time, within the allocated budget). The situation is exacerbated by the alienation of power from the folk and the hostility of the people to the regime. It seems that Belarusian authorities has no illusions about the real level of their support. Note the change in rhetoric of Alexander Lukashenka: if previously he had applied to the Belarusian people the words “our people”, “our folk”, now in public speeches more often can be heard the word “they”. In relation to the capital, Minsk inhabitants are characterized as “conscientious”, which for Lukashenka means an extreme form of defiance. In June the EU adopted a package of additional sanctions against the Belarusian authorities and businesses close to them. However, these sanctions are insignificant, not timely and not meeting the threats, claimed by the EU in the address of Minsk for the past six months. In any case, the effect of a new package of sanctions on Belarus is zero. On June 25, 2011 there was a telephone talk between Alexander Lukashenka and the King of Spain Juan Carlos. It was officially stated that the issues of bilateral relations and interaction between Belarus and the EU were discussed. 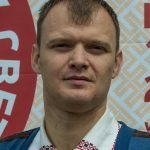 According to the subsequent strong actions of Belarusian authorities against protesters on June 29 it can be said, that the conversation was inconclusive. — The possibility of creation of a new coalition of opposition political organizations. At the moment spontaneous and not yet sufficiently effective self-organization of people disaffected with state policies can be observed. The action “Stop petrol” has shown that Belarusian society being very indifferent to the demands of some democratic changes, can be mobilized under the economic demands of claims of justice. At the same time silent protest campaign, organized by the «Movement of the Future» through social networks should be considered as “event of the month”. And although the danger of such protests to the government is overstated (primarily because of inadequate response from the government itself), they are certainly significant events. The main interest is the organization organizing these protests. Little is known about its actual relations. Since its foundation, «Movement of the Future» has been seen by some opposition politicians either as a Russian project or as a project of the authorities worried about their low credibility among the youth and incapacity of BRYU (Belarusian Republic Youth Union). Currently, the head of the organization, responsible for organizing the protests, is in Poland. Initially, the project «Revolution through the social network» was funded by its organizers’. At the moment, the main sources of funding for the project are the donations of individuals (including foreigners). In our opinion it is doubtful that the coordinators of “Revolution through the social network” have a long-term strategy of actions. Rather, we can say that they managed to catch the wave of protest in society and to offer sufficiently attractive to the masses, dissatisfied with the government, kind of protest. In the situation of ongoing systemic crisis of Belarusian State it should be noted the almost complete failure of opposition parties and movements. The only party, having at least some propaganda activity, is the Conservative Christian Party of Belarusian Popular Front (CCP BPF), which regularly distributes its home-made materials in small amounts. Traditional Belarusian opposition not only failed to use any of the opportunities opened over the past six months, but, except “Tell the truth!”, hasn’t even tried to do it. The impression is that political parties are either completely incapable or don’t intend to pose additional political thread to the authorities. It is not clear whether this is due to the position of foreign sponsors of Belarusian opposition, concerned about the possible defeat of Alexander Lukashenka in the next confrontation with the Kremlin, or due to the internal arrangements of the authorities and opposition. The latter isn’t impossible. We should take into consideration the presence of Belarusian security services agents in the opposition organizations and secret cooperation of Belarusian politicians with the authorities on certain issues, which is quite possible. — For the first time it was stated that the successors of the current government are not obliged to take responsibility “for the implementation of political and economic agreements, including international ones, signed by the Belarusian government after December 19, 2010.”. Thus, all privatization transactions and loan agreements concluded after 19 December 2010 or to be concluded by the authorities are questioned. The reaction of oppositional organizations to the latter has become a test of their readiness for a real fight for power. Ignoring or negative attitude can be considered as a compromise with the authorities: no opposition leader or organization have officially and publicly supported the appeal of “Tell the truth!” (CCP BPF doesn’t recognize the current regime at all, and therefore doesn’t recognize the agreements, the transactions , and commitments made by it). The claim of Nyaklyaeu that “Tell the truth!” has no plans to transform into a political party is tactical, due to the fact that at the moment the authorities won’t register an opposition political organization. Recently Alexander Milinkevich has attempted to consolidate the political opposition around his person. The ground for it is the necessity to preserve the national sovereignty from the threat of Russia (in our opinion this threat is imaginary). Due to low credibility of Milinkevich in the society and among most political activists, the success of the plan is uncertain. In June A. Lyabedzka also claimed the possibility of unification of the opposition. Later several political organizations claimed the threat of boycott of the National Assembly elections in 2012 by the opposition. These aspirations of the opposition to create a united organization might be motivated by the prospect of getting financial support for a new political coalition project. It is unlikely that new political union will influence the situation in the country. The experience of such united organizations in Belarus is exclusively negative. Out of the three major unions in the past 10 years (United Democratic Forces, alliance of left parties, Belarusian alliance for independence) only one (the UDF) was notable in the political field but then finished its activity. The other were “stillborn” organizations almost since their foundation. However, the specifics of Belarusian opposition politicians is that often the things, that are useless for political struggle, are good for the material welfare of some politicians. Economic situation. Development of economic processes in Belarus in June as a whole was determined by the consequence of decisions taken by the government in April and May. The development of the crisis was slowed down, and the macroeconomic situation was temporarily calm. The government finally abandoned its plans to revitalize the foreign exchange market in the near future and to put the official exchange rate at the market level. Moreover, at the moment the restrictions on free access to the currency for importers and individuals begin to be openly considered as an important factor in improving the trade balance and gold-exchange reserves by the authorities. The balance of foreign trade, which is the most acute problem of Belarusian economy, showed significant improvement of its dynamics (surplus amounted USD 154,4 million in May, which is observed for the first time for year and a half). The reasons for this dynamics are both the devaluation of national currency and the improvement of external conditions on trade in mineral products (almost 33% of total exports). Prospects of getting assistance from the IMF are still hard to assess: funding is possible only in case of implementation of tightly controlled structural reforms. The decision on the establishment of the Development Bank of the Republic of Belarus can be considered as a measure to increase the loyalty of the IMF. 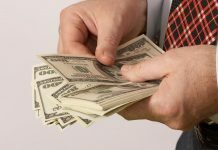 According to the decree of Alexander Lukashenka the Government and National Bank have a 3-month period to determine the list of assets of state banks transferred to the Bank for Development (funds previously issued under the funding of state programs), and the appropriate procedure for their transfer. In June the privatization process was slow. There is information about the sale of several small manufacturing and transport companies, totaling about USD 3 million. At the same time, the auction of 10 medium-sized state-owned enterprises ended without result due to lack of applications of potential buyers. At the end of the month the Government announced the desire to put the shares of “Belaruskali”, “BelAZ” and “Belarusbank” to the IPO. 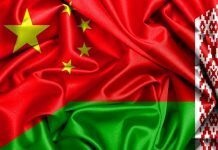 This may indicate a desire of the authorities to improve the interest for the Belarusian assets of non-Russian investors (primarily China) and raise the initial price for the Russians. The similar situation is with the «Beltransgaz», which the government hints to be interesting for Venezuela. Despite the decline of the assets of banks from USD 48,1 billion to USD 36,3 billion as the result of devaluation, the situation in the banking system remains relatively stable and is characterized by a low level of bad debts. At the same time the high level of indebtedness of the National Bank to commercial banks can be a threat. The requirements of commercial banks to the National Bank on June 1 totaled Br 33,6 trillion. (USD 6,8 billion), which exceeds the country’s gold reserves. Of course, the National Bank will seek to roll over this debt, because it has no possibility to repay it in time. In general, the banking market of Belarus is getting significantly narrow and losing its investment attractiveness. By the end of the month it became clear that the government embarked on a classical deterrent (restriction) policies. Thus, forecasts of GDP growth were lowered to 4-5% (at worst case scenario, even up to 1-3%), program of preferential construction was reduced, emission crediting of the economy was suspended, public sector wages and social benefits were frozen. All these measures will certainly help to stabilize the economic situation in Belarus, but will predictably lead to a fall in GDP, growth of unemployment, and even reduction of income of the people. There is a danger that the growth of these problems will lead to rollback towards populism, with the active use of emission credits for state sector of economy. In the near future the significant changes in government policies or new large-scale reform programs shouldn’t be expected: the opinion, that all possible measures have been taken and we only need to wait for positive results, is prevailing. The main work will be done as monitoring the situation and rapid respond to acute problem situations (finding funding for the harvest campaign, strengthening of targeted social assistance, stimulation of the creation of new jobs in the private sector, the administrative preventing increase in prices, provision of commodity markets). — New evidence of the criminal investigation against the former commander of the Air Force and Air Defense I. Azaronak. Although the both parties didn’t give the official explanation of this situation, the impending relocation of few dozen American strike fighters F-16 from Italy to Poland became known. Taking into consideration 48 aircraft of this type the Polish Army is armed with, the total number of these strike fighters is close to 90. It should be noted that although the F-16 represents the class of fighters, it was designed primarily to attack ground targets, i.e. is primarily offensive weapon. Aims and motives of the United States’ and Poland’s decision to place the shock air group (if we exclude aggressive) remain unclear. — Constant stationing of Russian airborne early warning aircraft “A-50” on one of the national army airbases. The possibility to supply S-400 is currently quite low due to the low rate of their production for the Russian army and the need for primary cover of air strikes against strategic targets in Russia and especially the places of the stationing of Strategic Missile Forces in the European part of Russia. In our opinion, good prospect is the creation of storage base of Russian weapons, supply of which for Belarus could be banned by international treaties. Especially such weapons like cruise missiles and the missiles F-37 and KC-172. The base can have a staff of unarmed Russian technicians. The Belarusian side should provide the protection of the base. 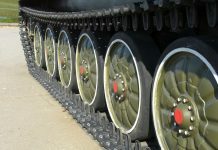 At the same time it is necessary to train Belarusian soldiers in order to enable them to perform as the operators of stored weapons, if necessary. The presence of significant number of offensive weapons on the territory of neighboring state poses the issue of forming a full-strength «long arm» (more details in the material). However, due to financial crisis and the continuing conflict with Russia, all of the above possibilities are theoretical. It is unlikely that in the foreseeable future Belarusian side will be able to take adequate preventive measures. There is new information on the fate of the ex-commander of the Air Force and Air Defense I. Azaronak. Currently, he is released from custody and is under house arrest. In a criminal case against General a preliminary investigation is conducted. Although on January 26, 2011 Minister of Internal Affairs A. Kuleshov said that in the case there is enough evidence against I. Azaronak and in the near future criminal case would be transferred to the prosecutor and then to the court. Azaronak’s release from custody indicates a weak evidence base and confirms our version, claiming that the main purpose of the criminal case was the discredit of the military commander. The latter is a striking illustration to almost unlimited power and possibilities of the current Defense Minister Yuri Zhadobin. In the light of the systemic crisis in Belarusian authorities, unbalance in the decision-making mechanism and the presence of opposition sentiment among top bureaucracy, the concentration of such a vast amount of information and opportunities in the hands of a single commander, even if his reliability is no doubt, is not desirable. Belarusian authorities are satisfied with the results of the exhibition “MILEX – 2011”, although the specific results are not reported. The main interesting fact is that almost immediately after the event Belarus was visited by military delegation from Jordan. Although the details of the negotiations are not reported for obvious reasons, the upgrading armor and artillery systems, the production of unmanned aircraft systems and training of special operations forces can be specified as the most likely areas of cooperation. In our opinion, these areas are of most concern to the Jordanian side because of their neighborhood with Israel and the general growth of tension in the region. In general, the foreign partners may be interested in 927th center of training and the use of unmanned aircraft systems (UAS) in terms of training the relevant specialists. A major drawback is the lack of shock UAS in Belarusian army. In May and June Belarus faced with the threat of drought. Thus, from mid-May to early June in most parts of Mogilev and Gomel regions as well as in the south-eastern half of Brest region, in southern and eastern parts of Minsk region and in the south-east of Vitebsk region the rainfall was only 10-35% of normal for this period. In some areas of the north-west of the country during this time the rainfall was 55-75% of normal. At the same time it must be noted that at the end of June this year in the agricultural sector less fodder was harvested in comparison with the same period of 2010. In the light of absence in the country of large grain stocks and drought in some EU countries and in China, the grain prices on international markets are likely to grow by 10-30%. For Belarus, this will means the inevitable and substantial rise in the cost of food by this autumn. Taking into consideration the growth of tariffs for communal services in the coming heating season, it can be said that stagflation factor will rise the protest in the society and substantially reduce the social basis of authorities. Предыдущая статьяЗащита политического режима Беларуси: проблемы и пути их решения. Следующая статьяНекоторые итоги первого полугодия 2011 года.